Throughout the year many of our client parks and manufacturers hold Open Days or Weekends to show off their parks and the homes they have for sale and everyone is invited. It's a great opportunity to compare notes, concerns and questions all of which can be answered by the park owner, or their sales staff and sometimes a manufacturer's representative is often in attendance as well. On occasion some manufacturers also hold their own Open Days and Weekends, which will include a factory tour enabling you to see for yourself how park homes are built. Once a year the major manufacturers all get together for The World of Park and Leisure Home Show at Stoneleigh Park, Warwickshire, where this year (2018) around 60 park homes and lodges will be set up on display for you to view. definitely not a show to be missed! Park Home Living will be there. Come along and see us if you need some unbiased advice! 19th Apr - 22nd Apr 2019 CRACKING EASTER WEEKEND! We are open all Easter Bank Holidy Weekend to show you our lovely park, 4 acre fishing lake and wonderful homes. Let's make you a cracking deal! Call now to make an appointment. 27th Apr - 28th Apr 2019 Wyldecrest Parks are pleased to announce that our Open Days are commencing shortly. Why not come down to a park of your choice and see what we have to offer whilst enjoying a cup of coffee and a slice of cake. Thank you & see you there! Orchard Park - Twigworth, Gloucester. 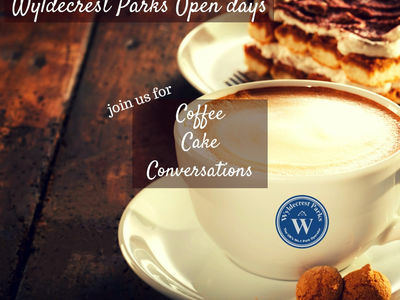 4th May - 5th May 2019 Wyldecrest Parks are pleased to announce that our Open Days are commencing shortly. Why not come down to a park of your choice and see what we have to offer whilst enjoying a cup of coffee and a slice of cake. Thank you & see you there! 11th May - 12th May 2019 The Charles Simpson Organisation are inviting you to their Open Weekend at Clifton Park. We look forward to showing you around our park and the show homes we have for sale. For more information: Contact Alan Gooding on the number below. 15th Jun - 16th Jun 2019 The Charles Simpson Organisation are inviting you to their Open Weekend at Clifton Park. We look forward to showing you around our park and the show homes we have for sale. For more information: Contact Alan Gooding on the number below. 22nd Jun - 23rd Jun 2019 The Charles Organisation are inviting you to their Open Weekend at Woodside Park. 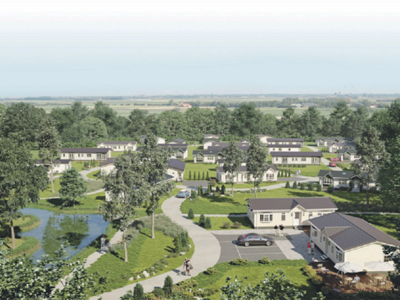 We look forward to showing you around our park and the show homes we have for sale. For more information contact Alan on the number below.